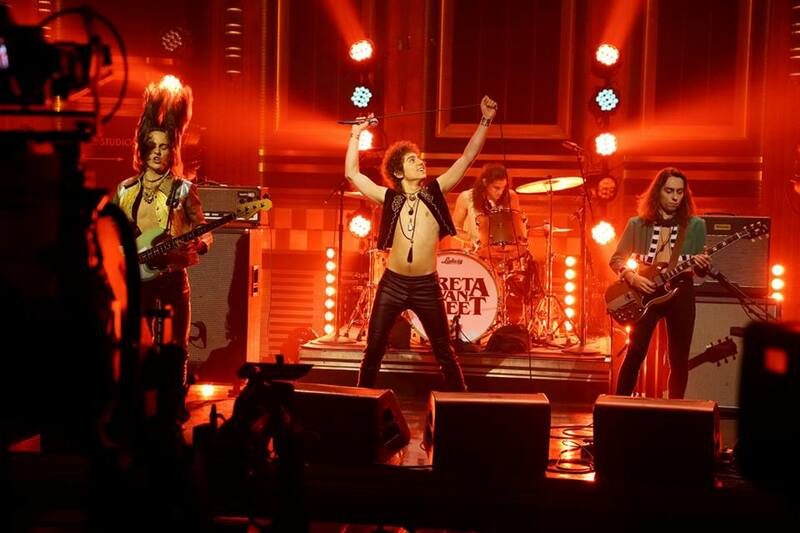 Rising rockers Greta Van Fleet performed their late night US television debut on The Tonight Show starring Jimmy Fallon on July 26. The Michigan outfit delivered their new single, “When The Curtain Falls”, on the program to an enthusiastic reception, earning a standing ovation from the studio audience and raves from the host. “You guys CRUSHED it,” posted Fallon on social media after the broadcast. Led by a trio of brothers – vocalist Josh Kiszka, guitarist Jake Kiszka and bassist Sam Kiszka – alongside drummer Danny Wagner, “When The Curtain Falls” is the first preview to the band’s forthcoming album debut. The group released two EP’s in 2017 – “Black Smoke Rising” and “From the Fires” – while earning raves from fans, media and fellow rockers including Robert Plant who, when asked about Greta Van Fleet’s sonic comparisons to his former band by Australia's Network Ten this spring, responded: "They are Led Zeppelin I." Greta Van Fleet are actively touring across North America, with dates currently scheduled into late November.